When we got back from vacation at the end of July, I was faced with filling six weeks before school started with temps in the 120s! I immediately went into planning mode. I arranged swimming lessons for the girls; I went to my go-to place, Pinterest, and made a list of things to do with kids when stuck inside; I reached out to new families coming in to see if anyone wanted a play date; and I signed up to attend playgroups with a new group of moms. 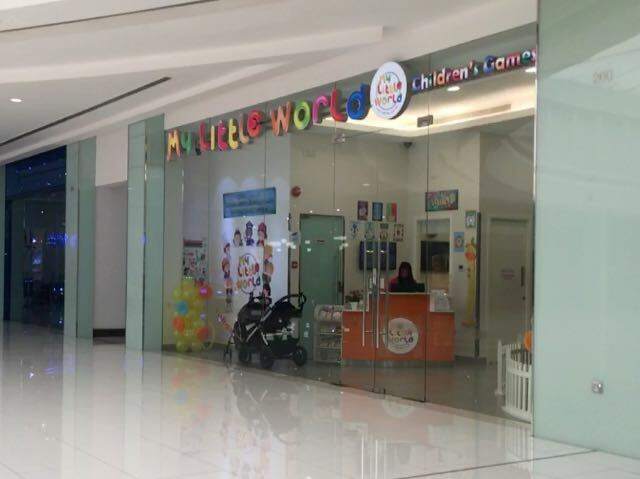 One of the first playgroups we attended was at My Little World at Al Enma Mall in Riffa. My Little World is similar to Play, in Seef Mall, but smaller. It calls itself an “educational children’s activity centre” and it’s been open for two years. 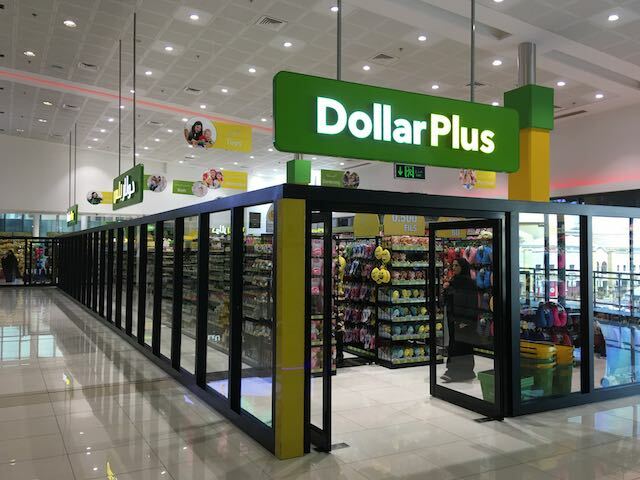 It has designated play areas, such as Doctor, Salon, Grocery Store, etc. It also has a little track for vehicles and a fun plane they can climb in and out of. It was clean and the staff were nice and helpful. Their rates for under three are 3BD, and for three-years-old and older, it is 4BD. But they do have “Happy Sundays” where the rates drop to 2BD and 3BD per age group. They are open from 10:00am to 10:00pm. You can also call if you have questions: +973 77366677. In addition, the mall has a Magic Planet game area, a nice food court, and a Géant grocery store. It was at this playgroup that I was asking the moms for other suggestions. In addition to recommending Play at Seef, they also told me about Pirate Land. So guess where our next outing took us? 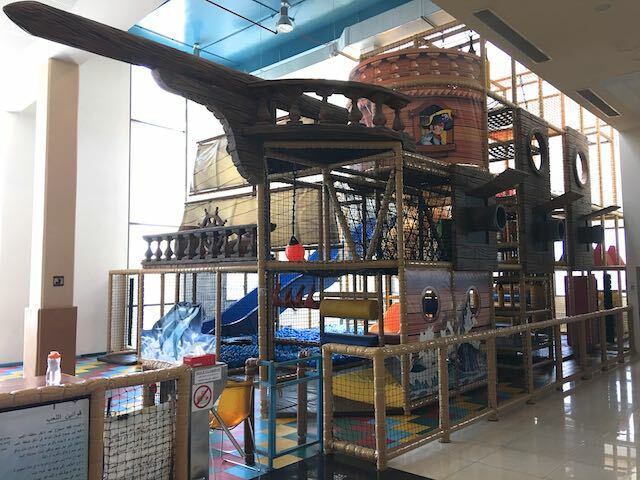 Pirate Land is located in the Al Hayat Shopping Center. It’s located off Oman Avenue, across from Tala Plaza. There are lots of things we like about Pirate Land, but first is their weekly Happy Hour prices. From Sunday through Thursday, from 10:00am to 2:00pm, the climbing structure is just 1.75BD per kid with unlimited time. As a mother of three, this delighted me. There are three levels to the climbing structure, two big slides, ball pits, and even a soft play area with a smaller ball pit for the littles. 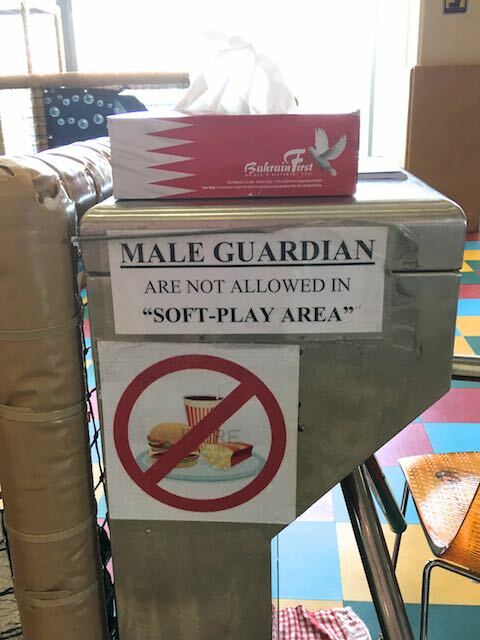 There are two things to note however, like other play areas, they require socks, so bring your own. But unlike any other areas, this one does not allow men inside. So dads (brothers, uncles, cousins, etc. ), if you’re bringing the kids by yourself, you cannot enter with them. Like everywhere else, they have the video games and the little cars to ride. They also have a large-scale merry-go-round (which I learned made me horribly dizzy, much to my daughter’s amusement). And as of October 2018, they have a new trampoline area (it replaced a large bouncy house). It costs 2BD for 15 minutes. But as with the reduced prices for the climbing area, all the games and rides are reduced during Happy Hour as well, some as low at just .245 fils ($0.65!). The mall itself is open and airy and very clean. We arrived when they opened one morning and I watched happily as they lysol’d the ball pits, the climbing areas and even the slide, making it lightening fast. The mall has a nice food court, a large Dollar Plus store, and a MegaMart grocery store. They also have underground parking, which makes a difference in the heat. All in all, Pirate Land is a frequent request by our kiddos and one I’m happy to fulfill.